KAISER idell is original Bauhaus design. 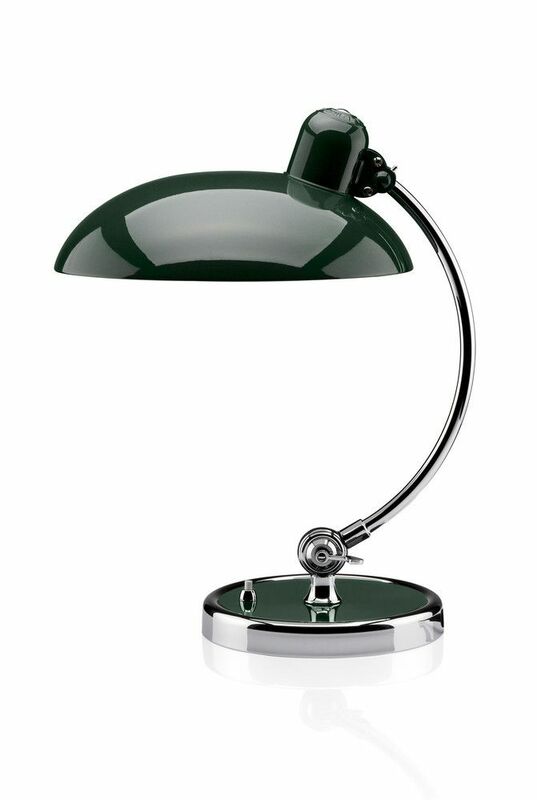 The series is based on a world-patented swivel joint and the characteristic dome embossed with "ORIGINAL KAISER-idell”. The lamps are made of steel and brass and the lampshades are handpainted in high gloss or matt (only available in black). The chrome-plated elements consist of polished and silver-soldered brass. The tiltable table lamp comes in black and matt black. Energy class: A ++, A +, A, B, C, D.